[SPOILER] Which popular idol boy group member shocked with his vocal talent on 'Mask King'? MBC's 'Mask King' proved once again that idols are more than just pretty/handsome faces. On the April 22nd installment of 'Mask King', the identity of the 'Royal Guard' was finally revealed. Last week, the 'Royal Guard' sang side by side with 'Chief Gatekeeper' and eventually moved onto the second round of the show. 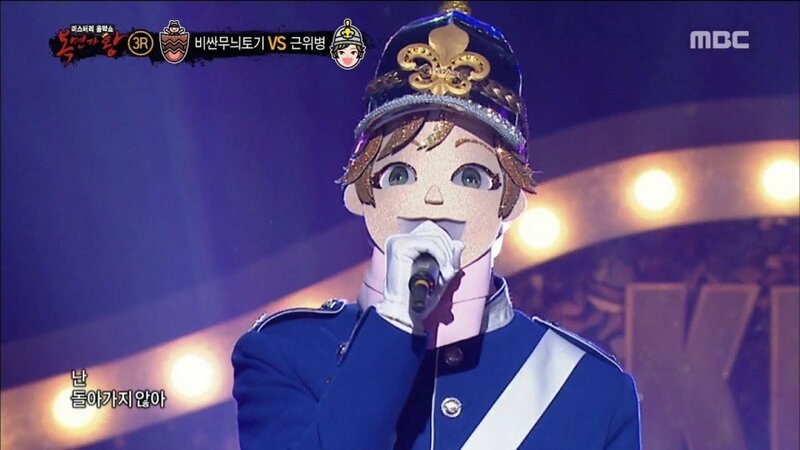 Once the 'Royal Guard' got to the second round, he sang Park Hyo Shin's classic "Fool" that simply melted the hearts of all listeners. The panel and the audience couldn't hide their amazement and focused solely on the stage. After finishing his performance, everyone tried to settle down the emotions raised by the singer, who made it all the way to the third round. In the third round, the idol sang a much more upbeat track, Ailee's "Don't Touch Me". The song choice was completely different from his previous stages that completely threw the panel off but also made them realize how versatile the singer truly is. Unfortunately for the 'Royal Guard', the third round would be where his time would come to an end and finally unmasked himself. The crowd erupted once they saw that the talented singer was none other than Wanna One's Kim Jae Hwan. Many were so shocked and even asked, "Was he this good?" The idol expressed his gratitude of being able to be on the program and said, "I've never been complimented as much as today in my entire life. It felt really good." Did you know the 'Royal Guard' was Kim Jae Hwan?